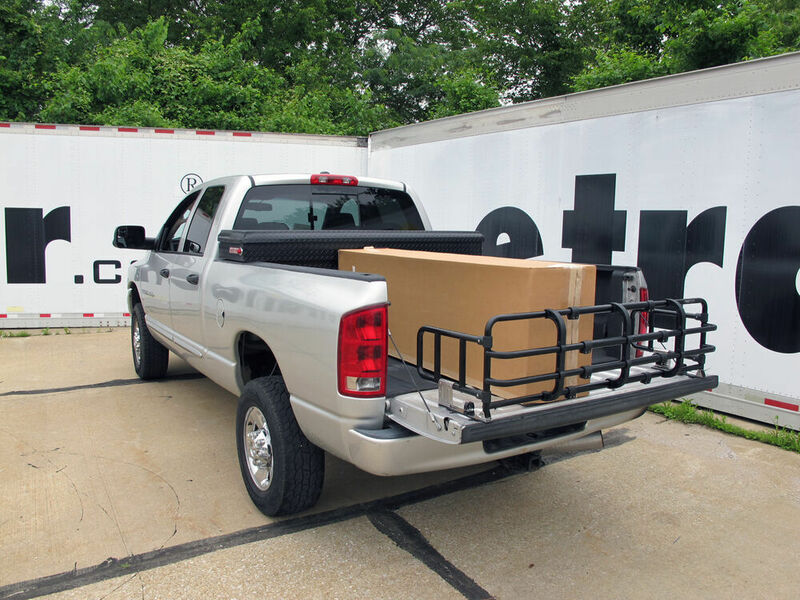 The Top Line Manufacturing universal bed expander is great when you are hauling loads just longer than the truck's bed, but not longer than the tailgate. 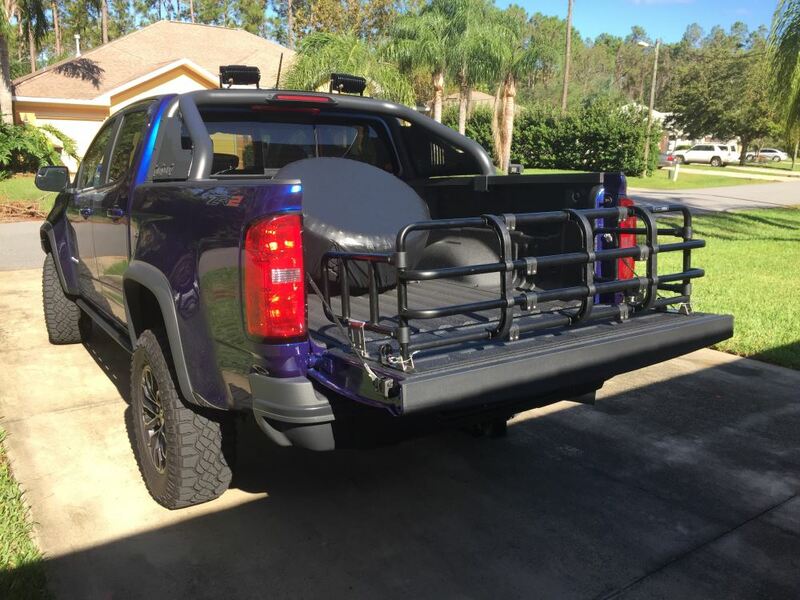 Telescopes to fit almost any size pick-up and will work with tonneau covers or truck caps. 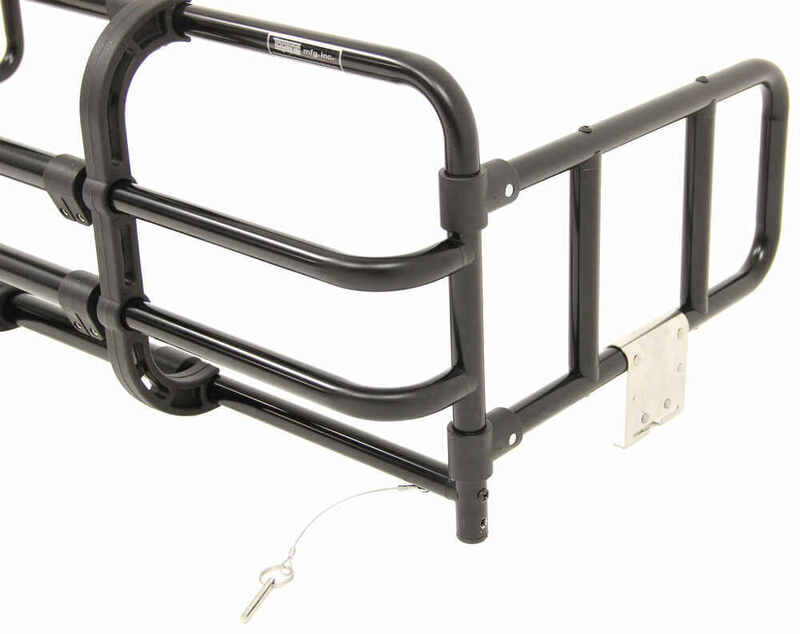 Call 800-298-8924 to order Topline bed extender part number BX4004-02 or order online at etrailer.com. Free expert support on all Topline products. 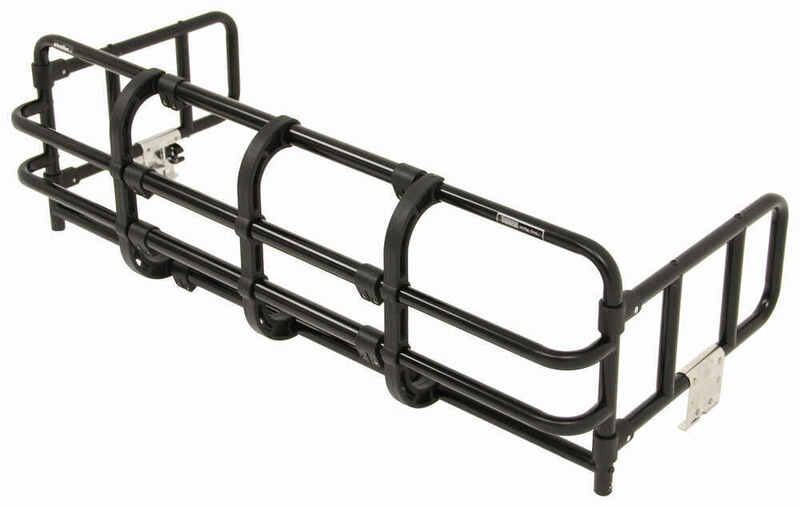 Guaranteed Lowest Price and Fastest Shipping for Fold Down Truck Bed Expander - Black. Bed Extender reviews from real customers. Please note: Product requires drilling to install. Trimming of bed liner may also be required for installation. 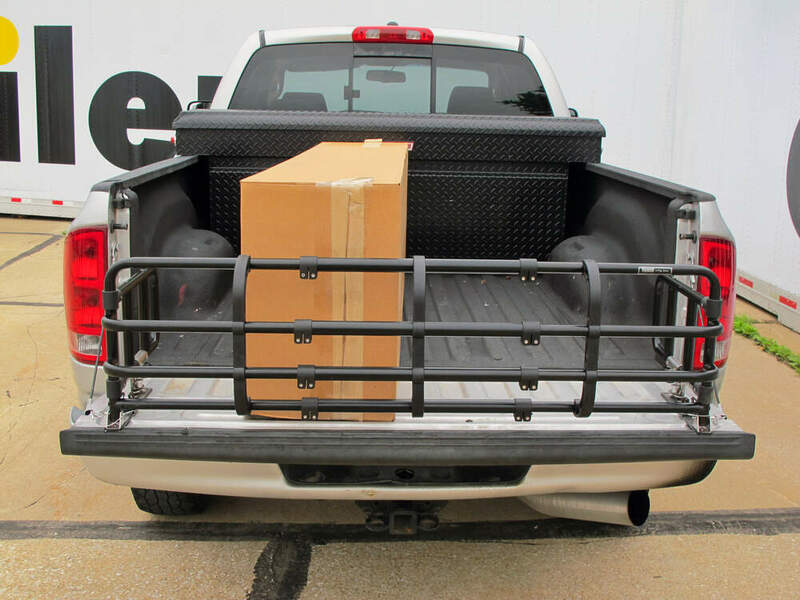 The Top Line Manufacturing universal bed expander is great when you are hauling loads just longer than the truck's bed, but not longer than the tailgate. 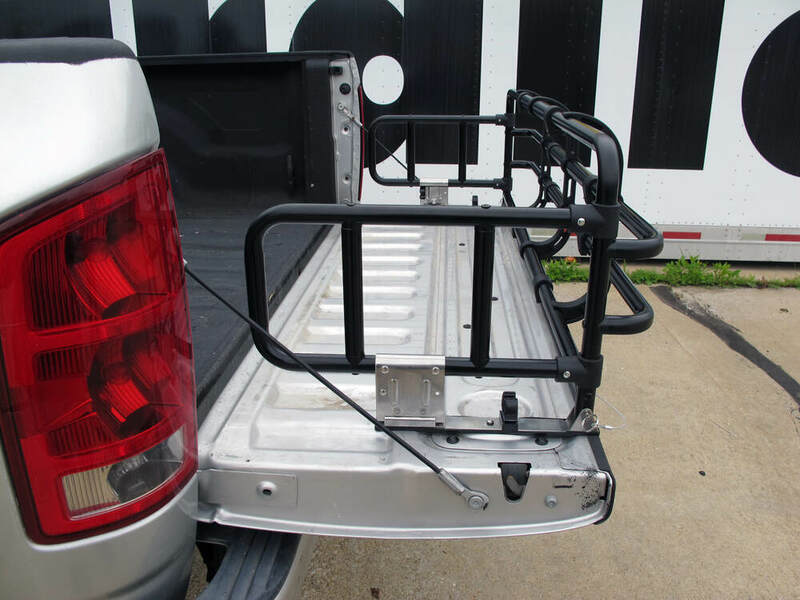 The bed expander is mounted securely with stainless steel hardware to one bracket on each side of the truck's tailgate. To remove the truck bed expander, just pull the pins. Bed expander folds up, leaving all but 5" of the bed available for cargo. 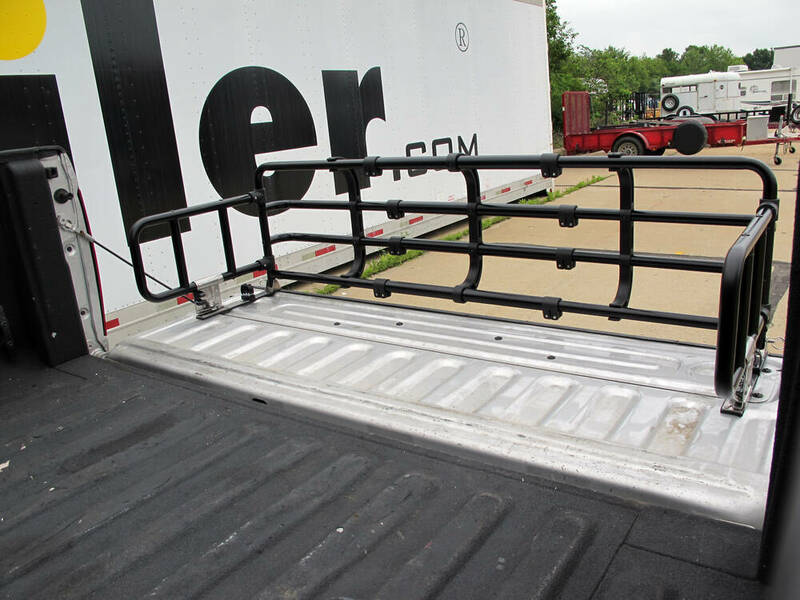 Today we're going to review an install, the Top Line fold down truck bed extender, part number BX4004-02. Black in color. This application is also available in silver, part number BX4004-01. 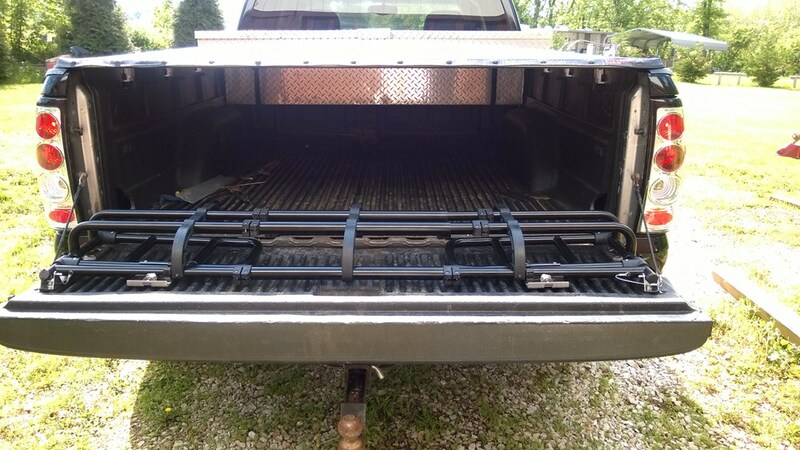 Let's go ahead and take a look at the top line tailgate extender that's all ready been installed. 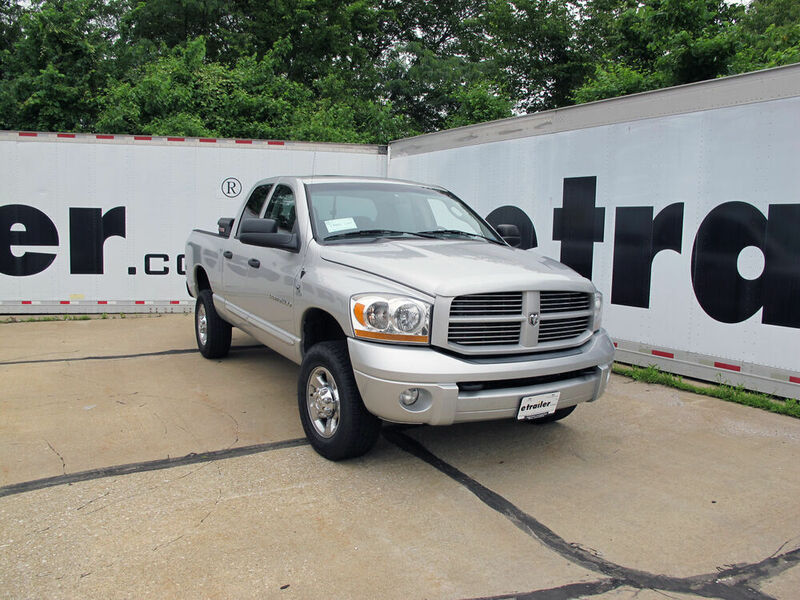 Simply open up the tailgate, we'll pick the extender up and swing the arm out and lock it in place. The arm is secured to the extender with the clamp, we pull it free, lift up on the spring-loaded button and it locks in to place. Just like that, our tailgate extender is up and secured. 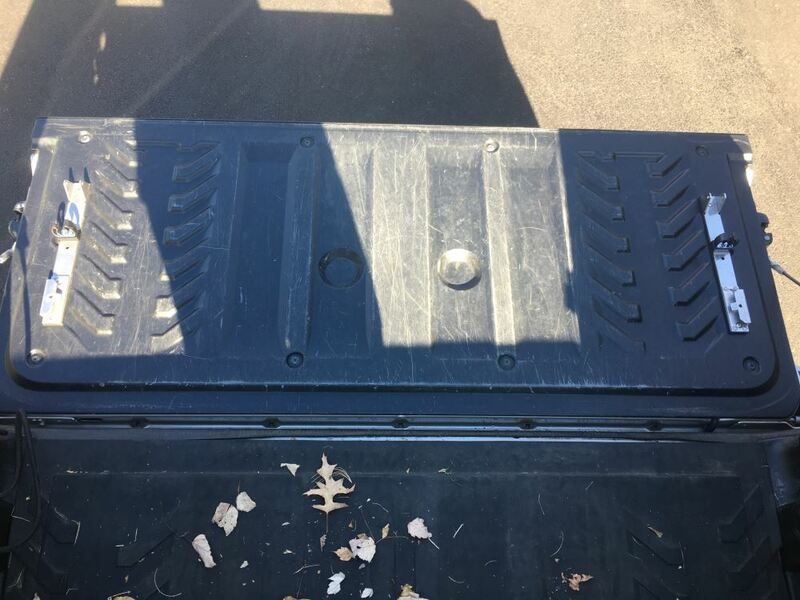 To get an idea, we'll go ahead and take a measurement from the end of the pickup bed to the inside edge here on the corner. 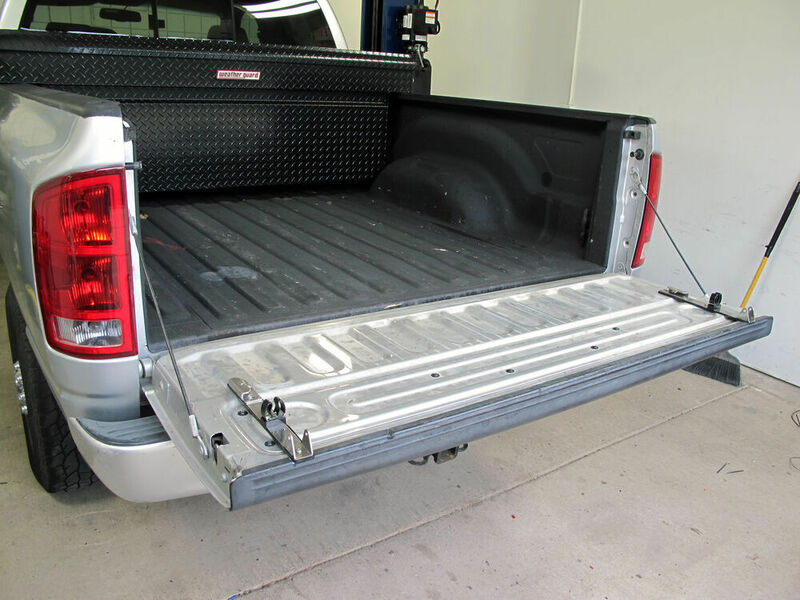 We've added 22 1/2 inches to the length of our pickup bed using our tailgate extender. 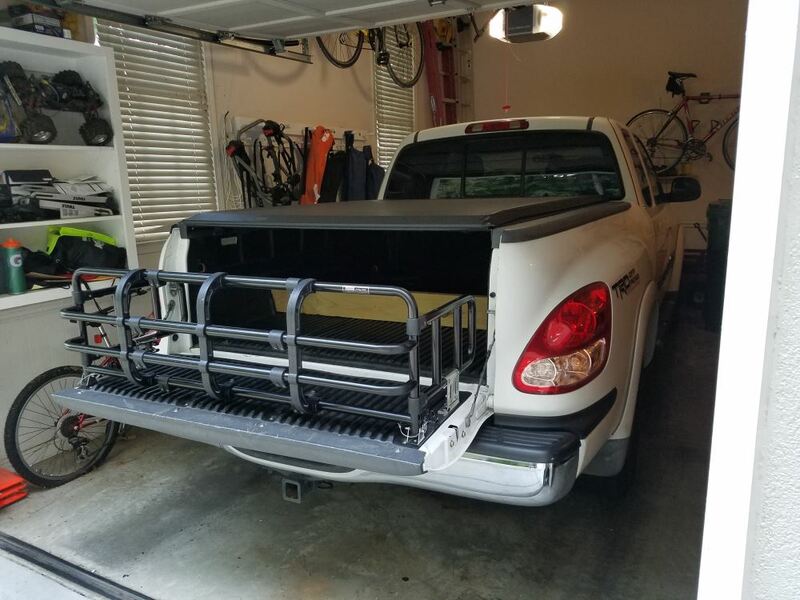 Now we can go ahead and fold up the tailgate extender and we can see, in it's stored position, it takes up approximately 5 1/2 inches of overall width. It doesn't take up a bunch of room in our pickup bed when our extender is in the stored position and our tailgate is up. 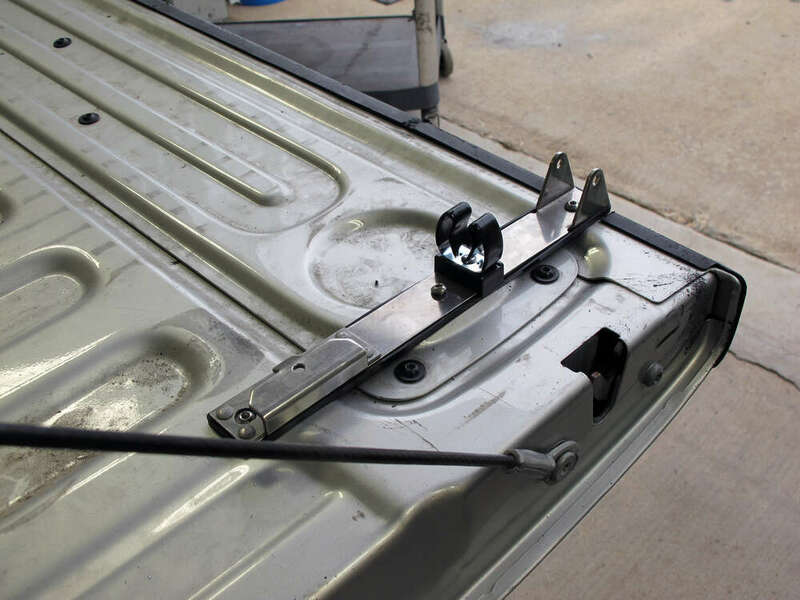 Notice that the tailgate extender has a total of 4 squeeze clamps. These clamps firmly hold the extender in position, so it doesn't swing or bang around when you're in the stored position and going down the road. Another really nice feature is how easily our tailgate extender will come off. We've got 2 quick pins that are held in to place with a D10 ball and it's got a nice cable to keep it. 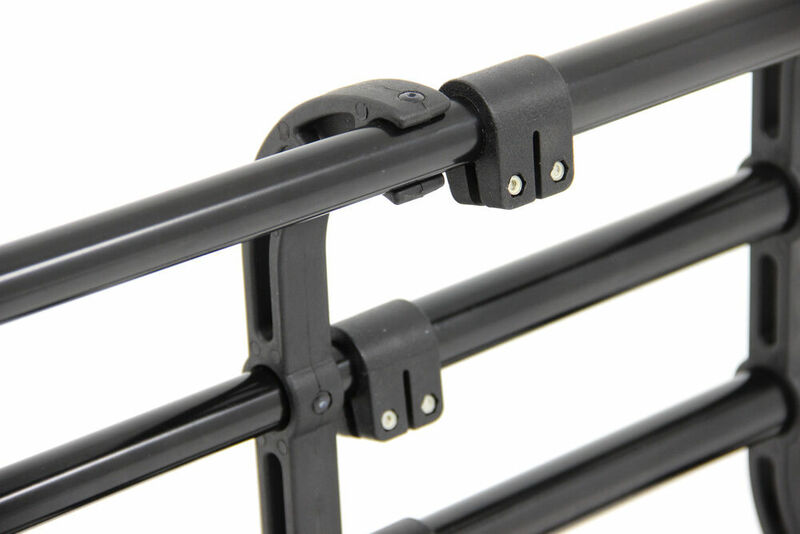 Simply take it out of the bracket on both sides and, because our clamps are holding it together, we can simply take it off as one unit and set it aside. Therefore, opening our tailgate back up so we can use it for other applications. That does it for the review of our tailgate extender. Now let's go ahead and show you how to install it. 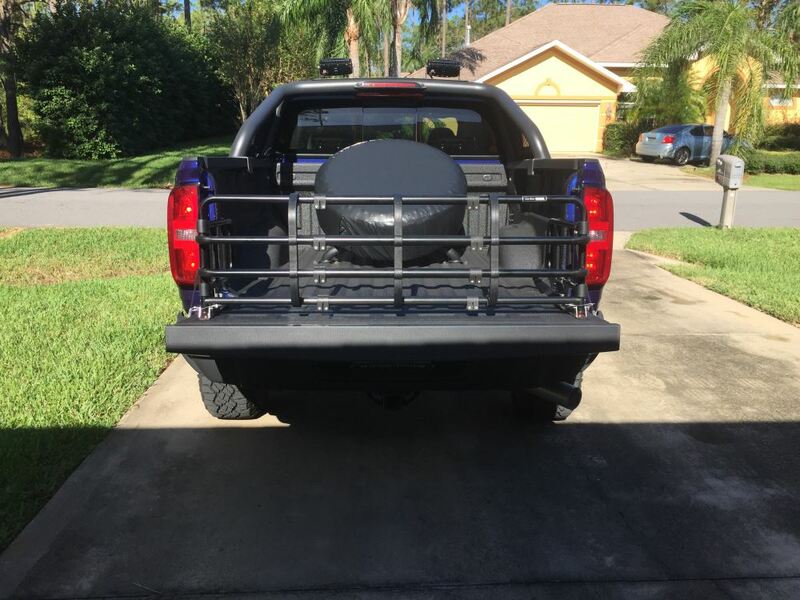 We'll go ahead and put our truck bed extender on to the tailgate. Next, we'll loosen our clamps so we can extend it to the width of the tailgate. We have 4 clamps on each side for a total of 8. 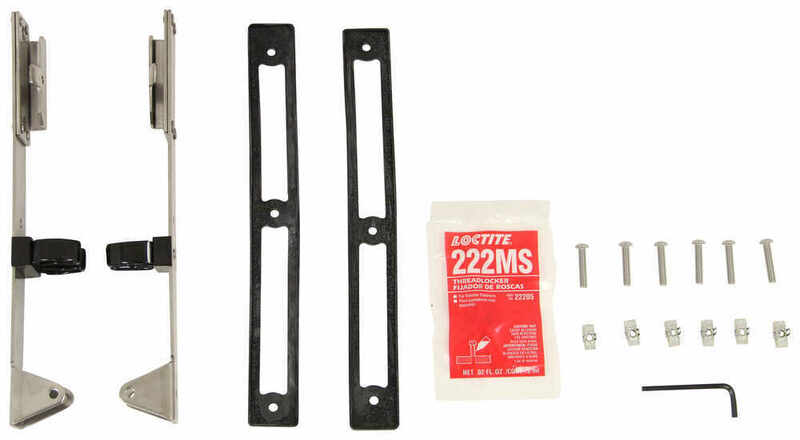 You can use the Allen Wrench that's provided with the install kit or if you have one on a socket, like we do, makes your work a little faster. 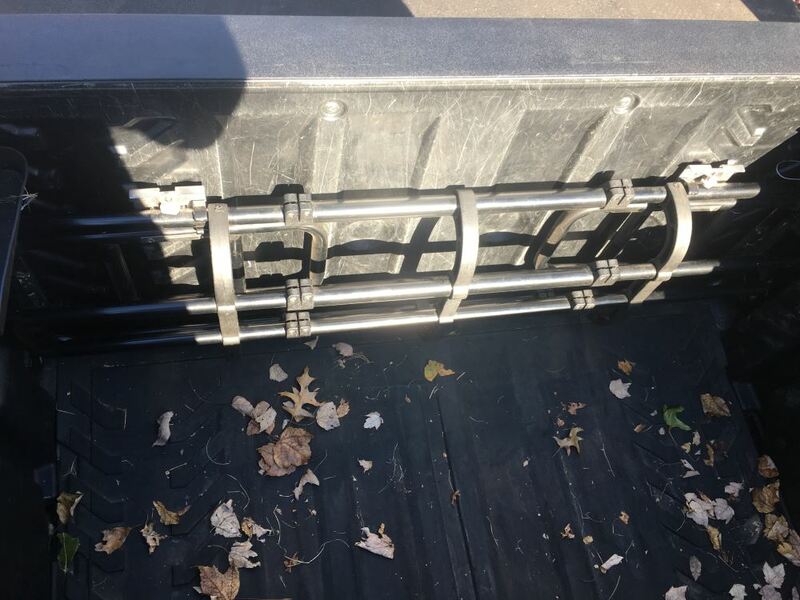 Now with our clamps loose, we'll take the bed extender and slide it out so that we can get it to the width of the pickup bed. Now that we've got the driver's side slid out, we'll go ahead and move over to the passenger side and repeat the same process. Once I have both sides slid out to equal lengths, to double check it, I can always go ahead and measure from the center support to the outer support on both sides and make sure I've got equal lengths. Once we've confirmed we've got equal lengths, we'll go ahead and tighten down the clamps to hold it in place. In selecting our mounting location, we're looking for a good, flat service to attach to. We want to slide all the way over so we get the maximum width, but we don't want to interfere with the latch. I'm, also, going to come all the way out to the top cap of the tailgate. This will give me maximum width and length. In choosing our mounting location each one of the attachment points needs to be on the same level or flat surface. We have one in the front, middle and here at the end on the bottom bracket that attaches to the tailgate.If I slide over a little bit, we can see that the front attachment point is on an uneven surface compared to the center and rear attachment point, so we'll need to slide it down the tailgate so all three attachment points are on the same flat and level surface. There, now we'll go ahead and duplicate this on the other side because each process we do here to one side gets repeated identically on the opposite side. 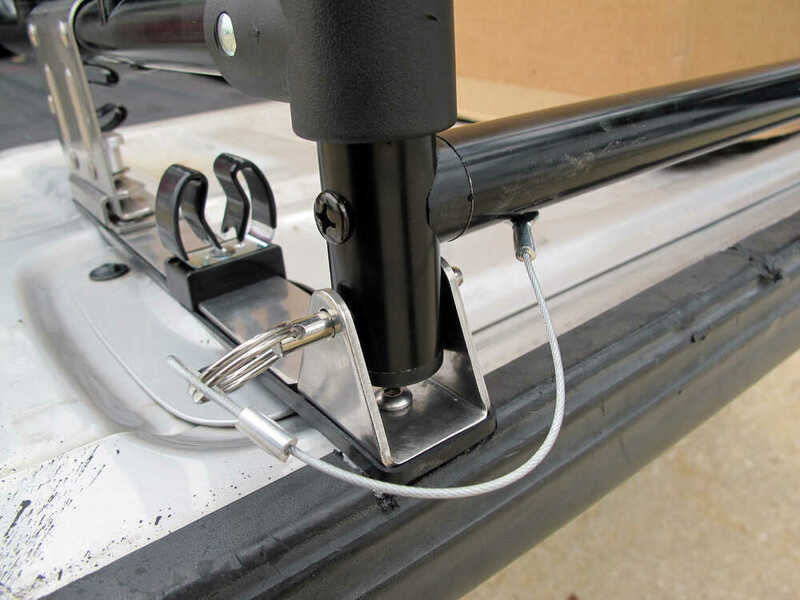 Some applications, like this one, where you want the extender to be at the very outer edge of your tailgate; the very top edge of your tailgate, or, could possibly need to be modified so that all three attachment points are sitting on the same level surface. We're going to go ahead and notch out the tailgate cap. Using my marker here, I'm going to draw a couple lines so they cut out for our bracket. Once I have it marked out I'm going to slide my extender out of the way and use a rotary tool to cut out the plastic. You could also use a utility knife. Just be careful as you work through the thick plastic. Now that we have it cut out, let's go ahead and slide it in to place, make sure we've got a good fit. 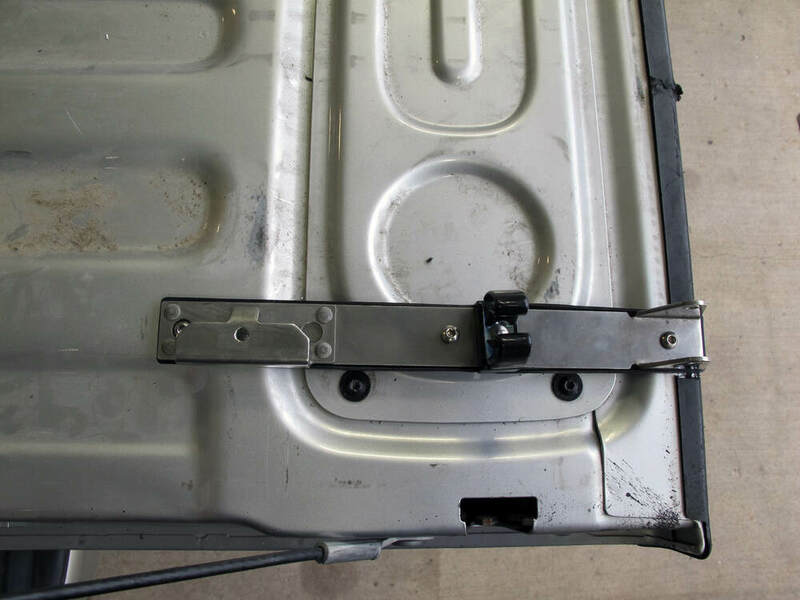 Once you've got your tailgate extender in position, we're going to hold on to the bracket as we rotate the extender up. It's a good idea to get and extra set of hands to do the passenger side while we're doing the driver side. We'll rotate it up while holding the bracket in place and then we can use our paint marker or, in this case, I'm using a permanent marker to mark the forward and center attachment points. We're going to go ahead and pull the pin that removes the extender from the bracket. Make sure that our bracket is lined up with our previously marked attachment points and then mark our third attachment point that was underneath the hinge point of our extender. All right. Now with all three holes marked, we'll go ahead and remove the bracket. We're going to use our center punch on each of our attachment points and then drill it out. To drill it out we're going to use a step bit process starting with a smaller pilot bit and then working out way up to our final size. 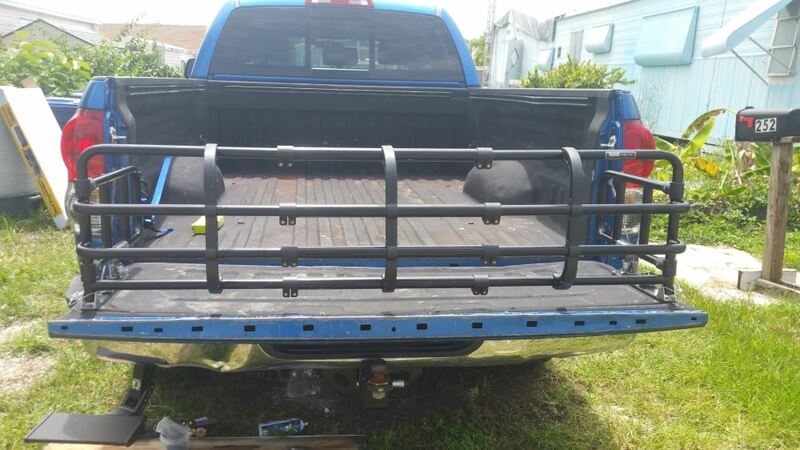 Our final size will be just large enough so that we can get our fastener in to the tailgate. Now with our holes drilled out, we're ready to install the insert. The insert will go in to the hole and then turn. Our screw will go down through the top, in to the threaded portion of the insert that'll get pulled up tight to the tailgate to create our attachment point. Let's go ahead and install it. We'll slide it in. You'll see that the top side is beveled so that as the bolt gets pushed in, it'll turn the insert. Sometimes they like to hang up, so I recommend to go ahead and get it started with your screw driver. Now we'll go ahead and repeat the remaining fasteners just like we did these two. Next, we're going to install the gasket. The gasket will go down, over the attachment points and then our bracket sits inside that gasket. We want to make sure that the gasket is well seated all the way around. We'll put it in place, setting it over the attachment points and using the Allen-headed screws provided to secure it. Note, each one of our fasteners will get Loctite on the threads. That's provided with our install kit. Let's go ahead and break off the top and put it on to the bolt. After we put the Loctite on, we go down through the bracket, through our gasket and in to the insert we installed in to our pre-drilled holes. I recommend to tighten them down, finger tight, just to get them started. It's a little harder to do here with our hinge here on our third attachment point, so you might go ahead and take the Allen-key that's provided, to help get it started. Now that we have all three started, let's go ahead and tighten them down. Now that we have both of our brackets installed, tightened down and secured, we'll go ahead and reinstall the extender. The extender installs with our quick pin. It goes through the bracket, through the extender and then back through the bracket. Once we have our quick pins in, we can store it in the folded up position and even close our tailgate. And just like that, our bed extender is installed and we're ready to hit the road. 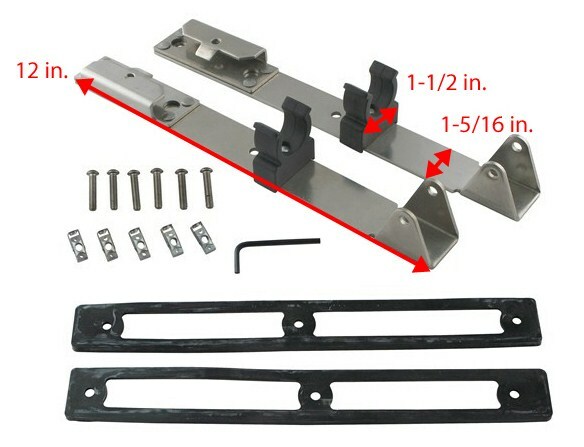 That will do it for the review and install of the Top Line fold down truck bed extender, part number BX4004-02. .
Order: RelevanceNewestRating - High to LowRating - Low to High The Top Line Manufacturing universal bed expander is great when you are hauling loads just longer than the truck's bed, but not longer than the tailgate. 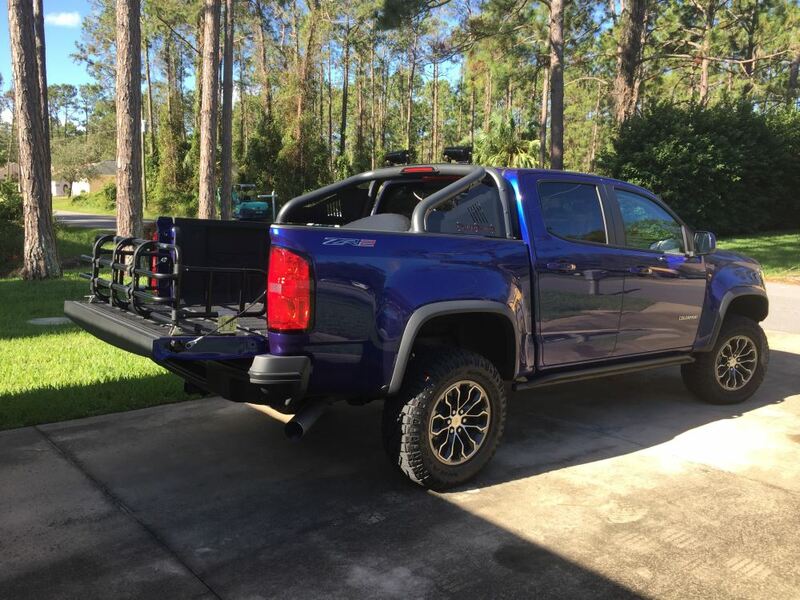 Telescopes to fit almost any size pick-up and will work with tonneau covers or truck caps. The bed extender has held up well over the past year. 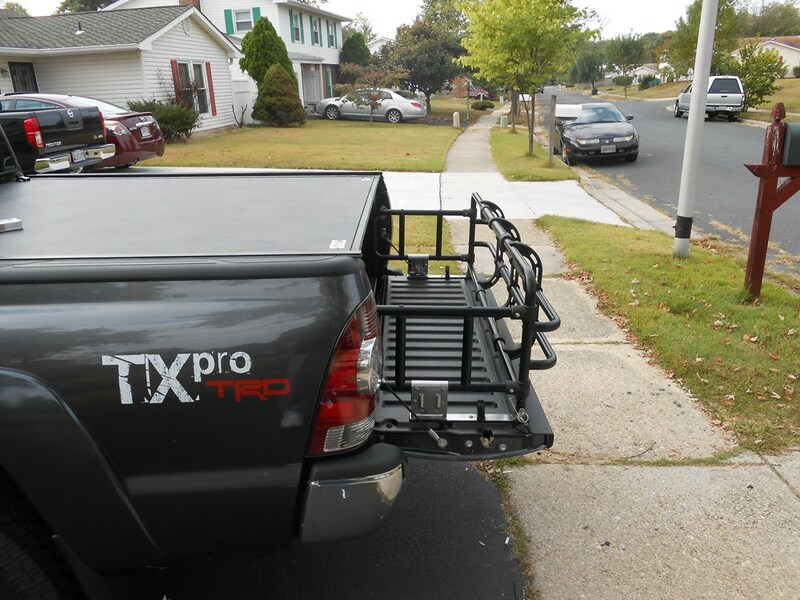 I use it to carry ladders , wood, etc., anything that is oversize for the bed of the truck. Still happy with the purchase and would still recommend the unit. Working out well! Dont know how I did without it! Do you have a question about this Bed Extender? 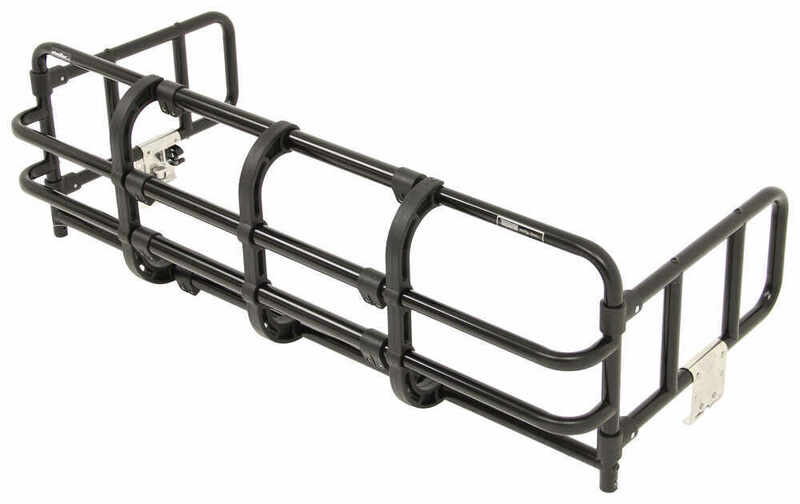 The Fold Down Truck Bed Expander - Black # BX4004-02 can be used with the DeeZee Tailgate Assist Custom Tailgate-Lowering System for Dodge Trucks # DZ43301. 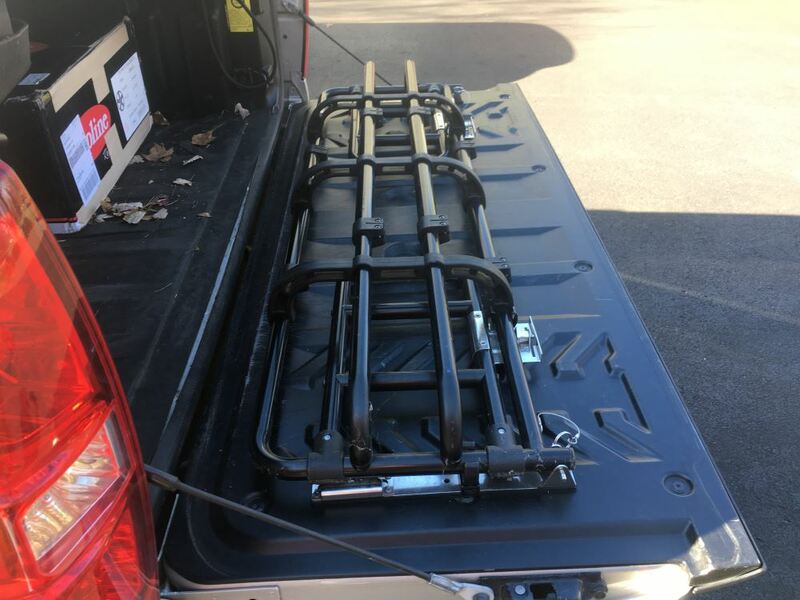 The lowering system will still help the tailgate to drop slower, but the additional 21 lbs of the extender will have an impact. 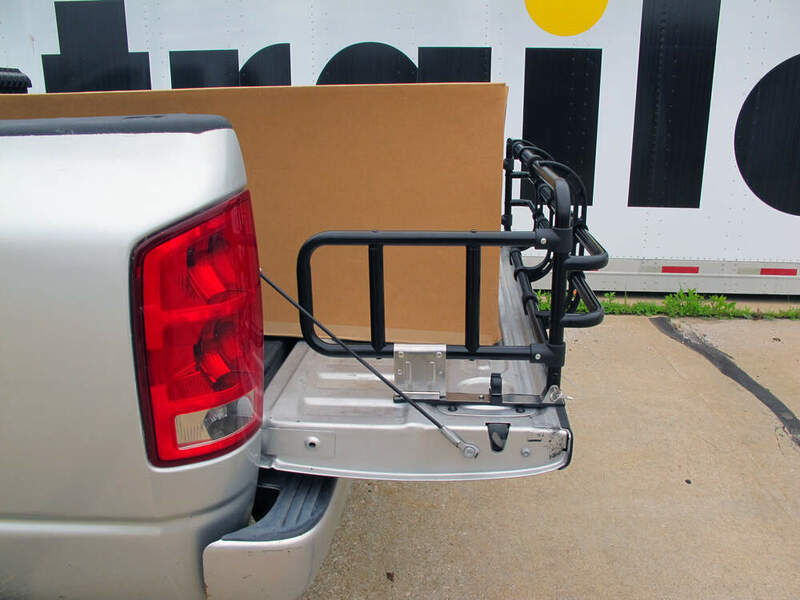 Because the weight is dispersed and the hinge takes most of that weight, it is still beneficial to use the tailgate assist. 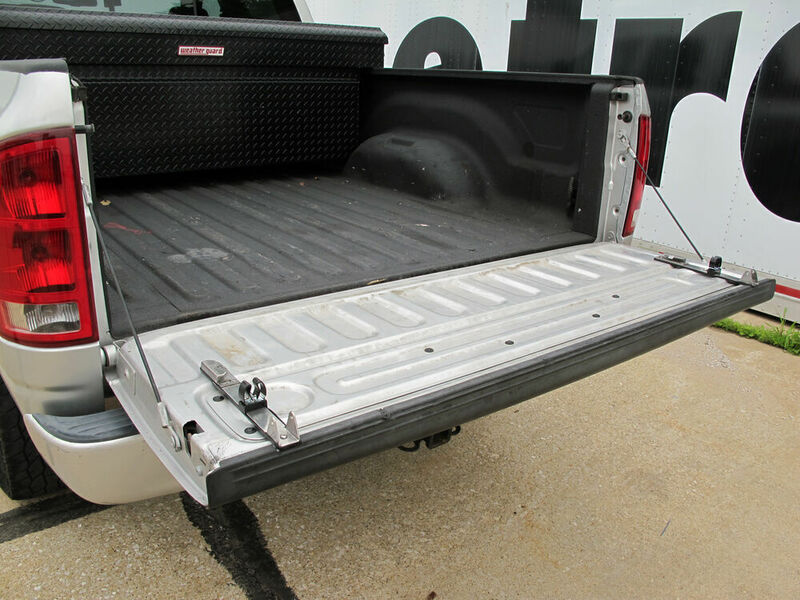 The Fold Down Truck Bed Expander # BX4004-02 is a universal fit type of item and it can be used with your Ford F-150 Platinum. As far as the installation goes it might be something you can do yourself. I have linked a video showing the features and an example installation so you can determine if it is something you can do yourself. Otherwise any trusted mechanic could perform the installation, I'm sure, for a nominal fee. 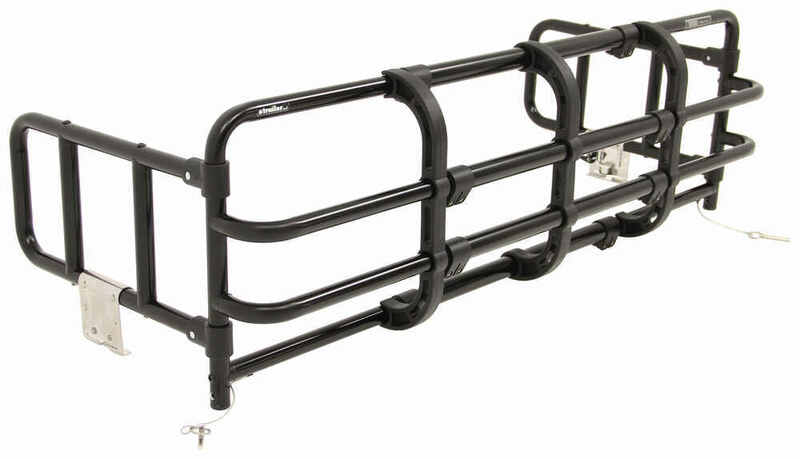 Yes, the Topline Fold Down Truck Bed Expander, # BX4004-02, will fit your 2013 Toyota Tacoma. 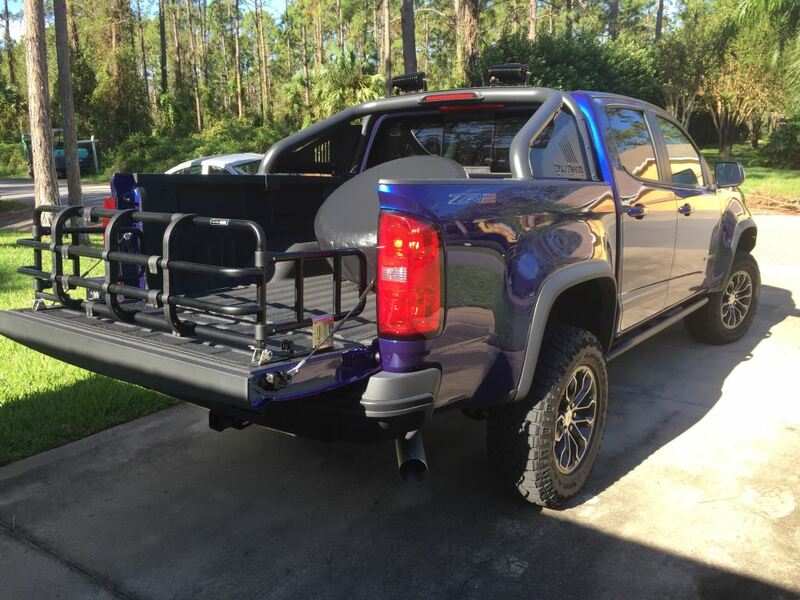 In fact, we had a customer install this on a 2013 Tacoma, so I attached his install photos that he submitted for you to check out. 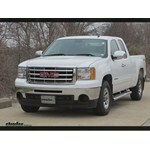 I have also attached an installation video that we made on a GMC Sierra for you to check out. It will show how to install the bed expander. This item is also available in anodized silver as part # BX4004-01. 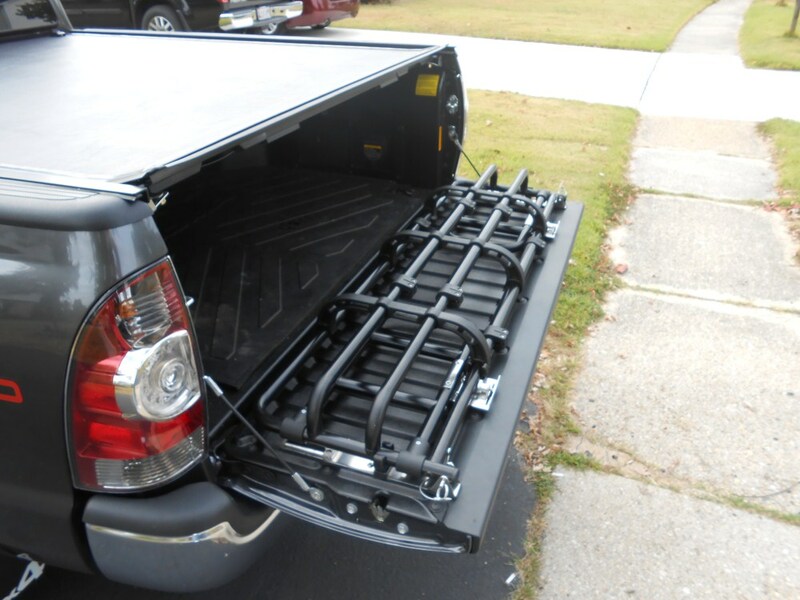 If the tailgate width on the 2001 Ford Explorer Sport Trac is at least 48 inches you can use Topline bed extender # BX4004-02 for black or # BX4004-01 for silver. Any less than 48 inches and there is no option that will fit. 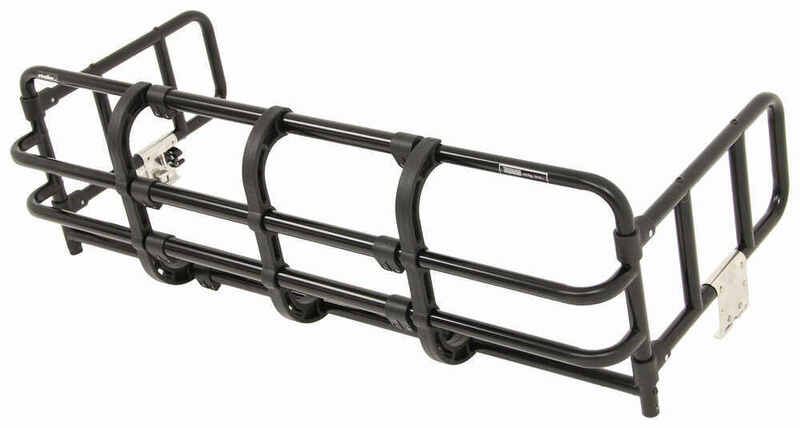 The Topline Fold Down Truck Bed Expander part # BX4004-02 is a fit for your 2013 Toyota Tacoma. 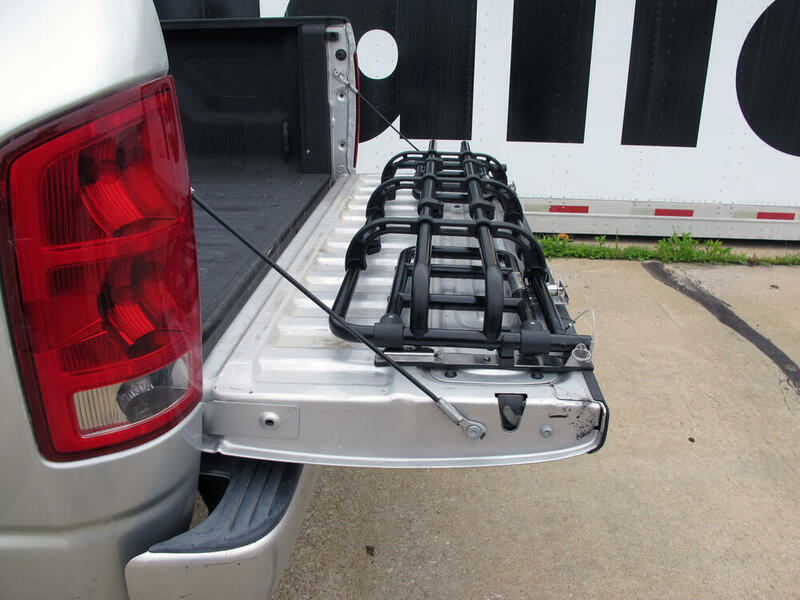 The expander allows you to use your tailgate as a part of the bed when carrying cargo. I have attached a video of the installation on a 2008 Toyota Tundra. 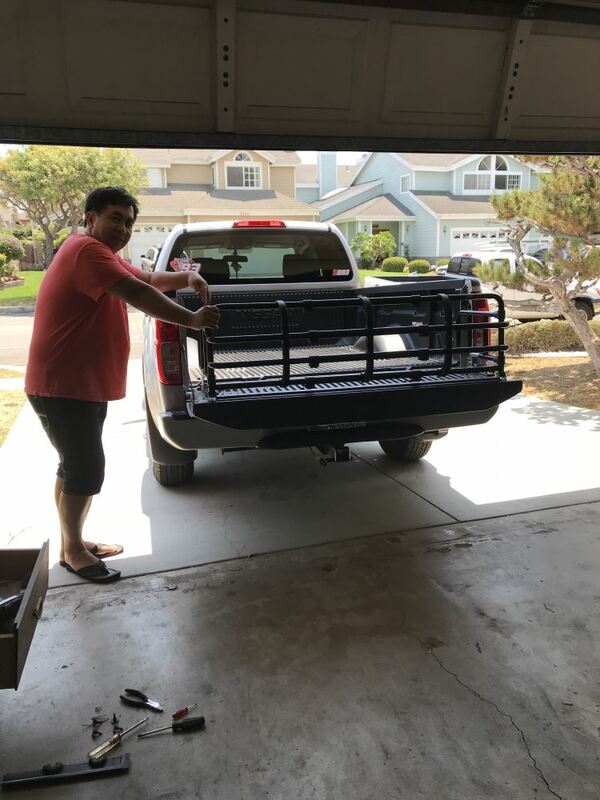 We have not installed it on a Tacoma yet but it does fit 1995-2019 Toyota Tacomas. 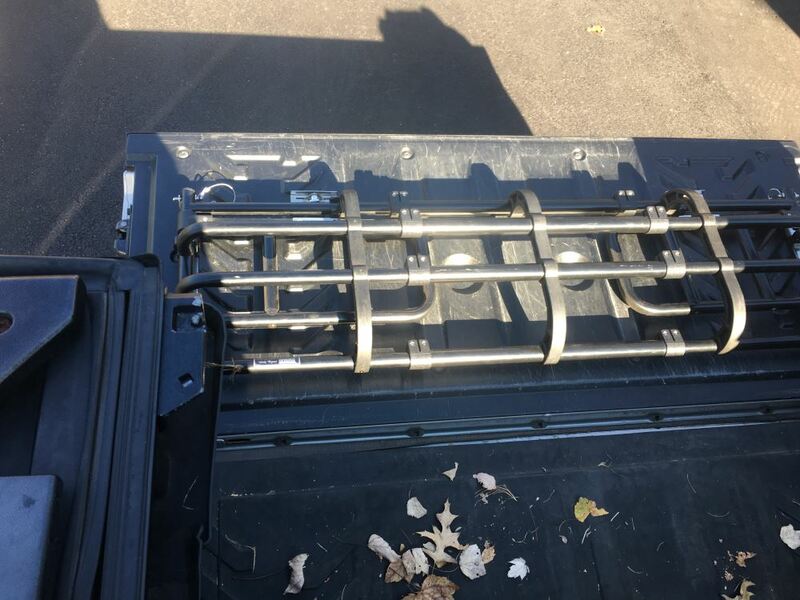 Yes, Topline has confirmed for us that their Fold Down Truck Bed Expander # BX4004-02 does fit your 2004 Cadillac Escalade EXT. I attached a review video for this for more info for you to check out as well. 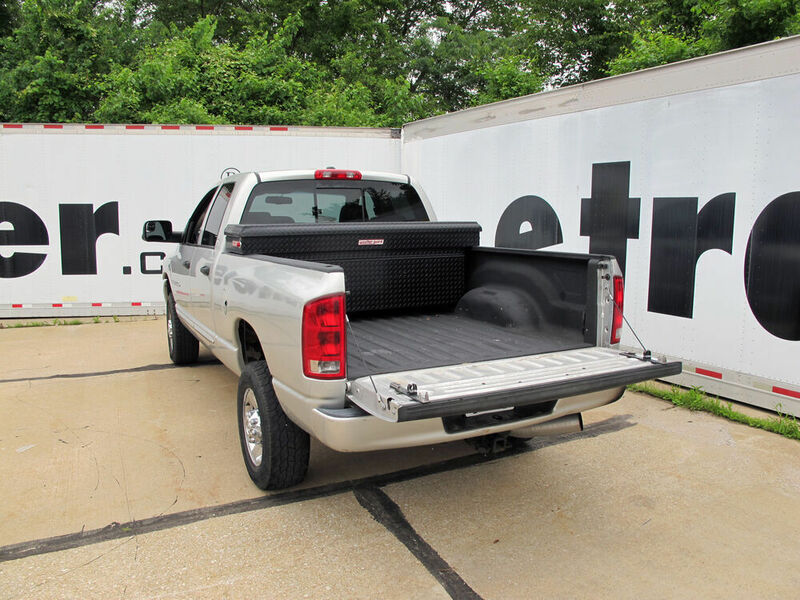 The Topline Bed Extender you referenced, part # BX4004-02 is width-adjustable and will indeed fit your 2010 Dodge Dakota if the plastic liner you refer to covers a steel tailgate. You would need to drill through the liner to attach the bed extender, but the liner can remain in place. I have provided a photo showing the extender mounted to a tailgate that has the plastic liner. 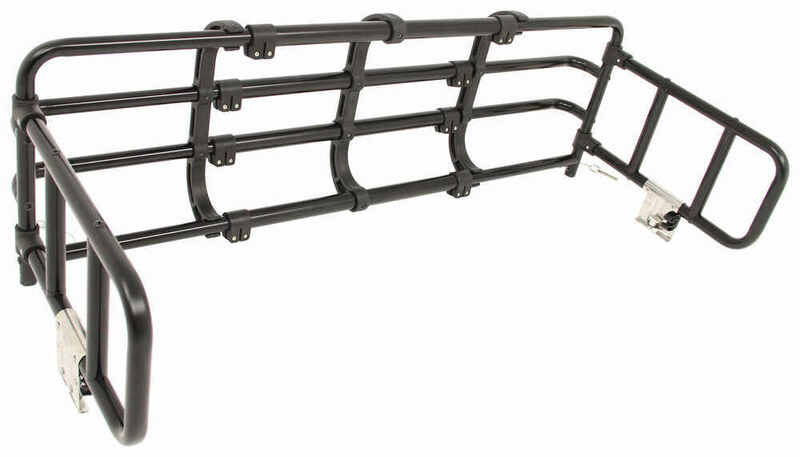 The Topline bed extender # BX4004-02 is listed as a fit for the 2013 Ford F-150. 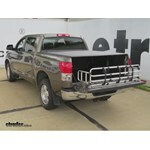 However, it is possible that the bed extender could interfere with the use of the step in the tailgate. But the width is adjustable on the extender from 48 to 64 inches so you would be able to change the width slightly to avoid step interference. I have included a picture that shows an installed extender so you can see whereabouts it installs. 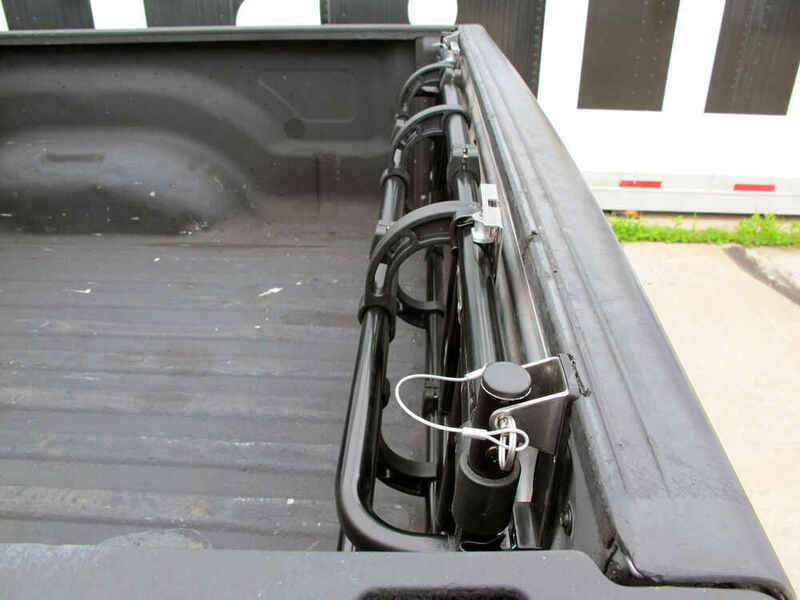 The Fold Down Truck Bed Expander - Black # BX4004-02 is a fit for your 2015 Ford F-150 Super Cab. 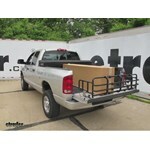 The fold back tonneau cover will work fine with this bed extender on your vehicle. 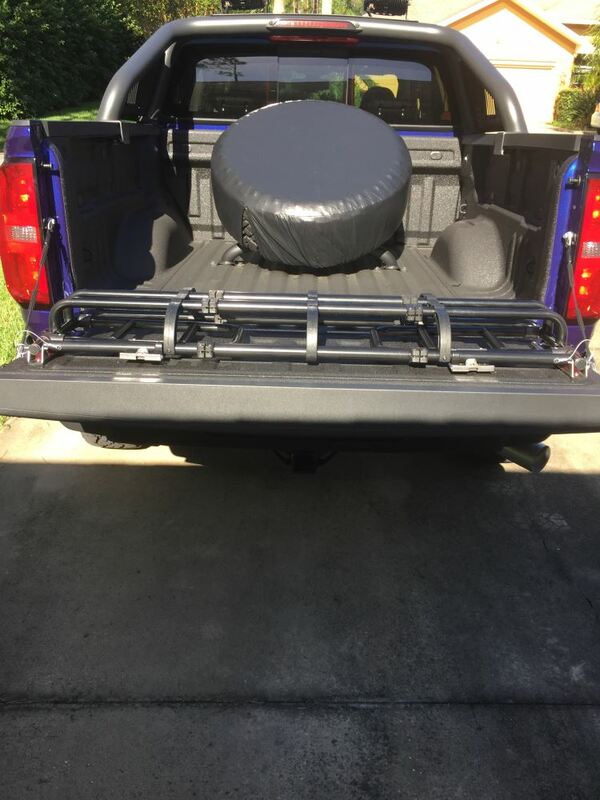 Even if you have the tonneau that doesn't require lifting when closing the tailgate, the bed expander when folded will have no interference with that function. 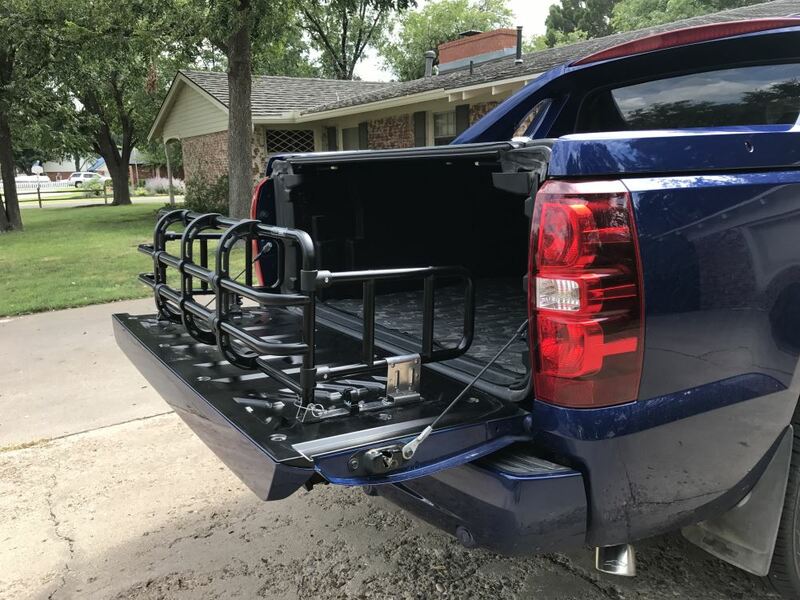 The only thing you won't be able to do is completely close your tonneau and close your tailgate with the extender expanded. 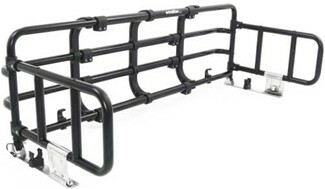 We offer several bed extenders for your Silverado. 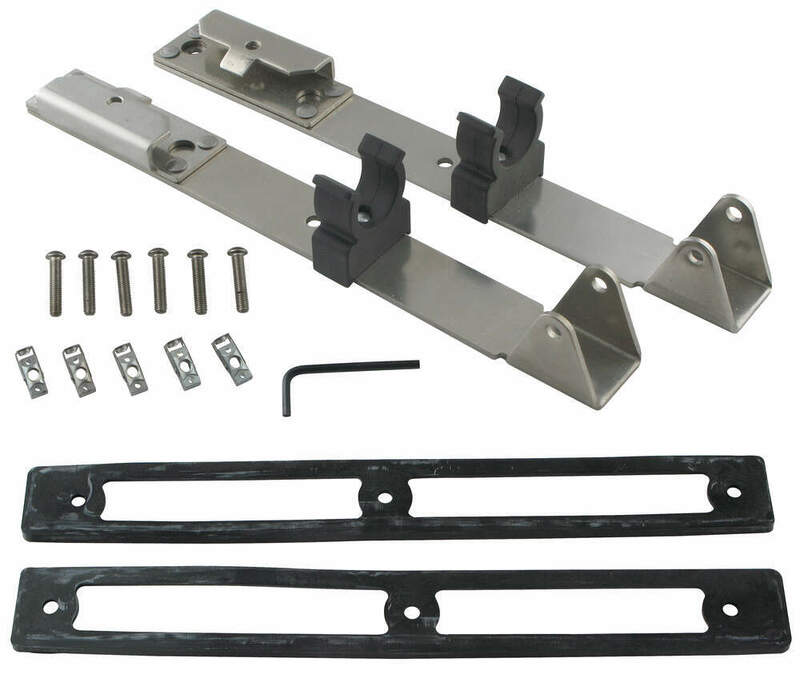 For instance, the Top Line Bed Extender, part # BX4004-01 for silver or part # BX4004-02 for black would be a great choice. 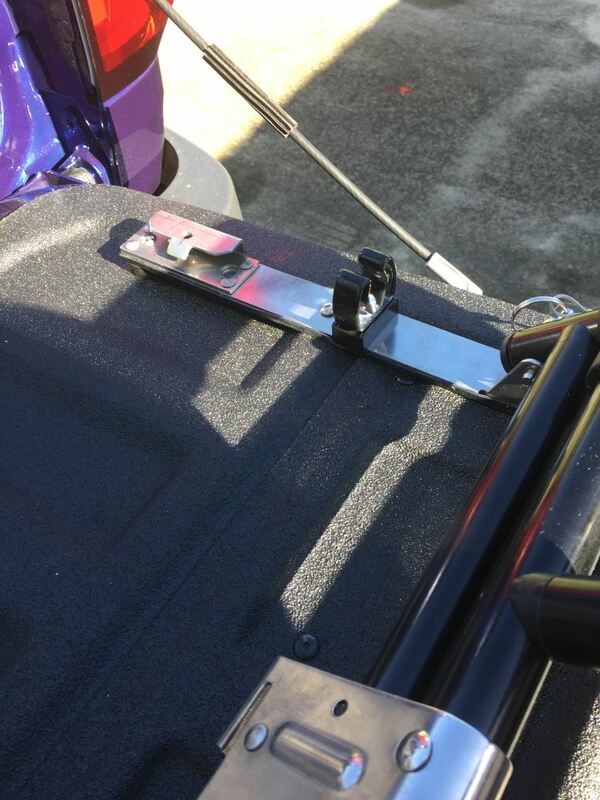 This extender will fold flat against the inside of the tailgate when not in use. 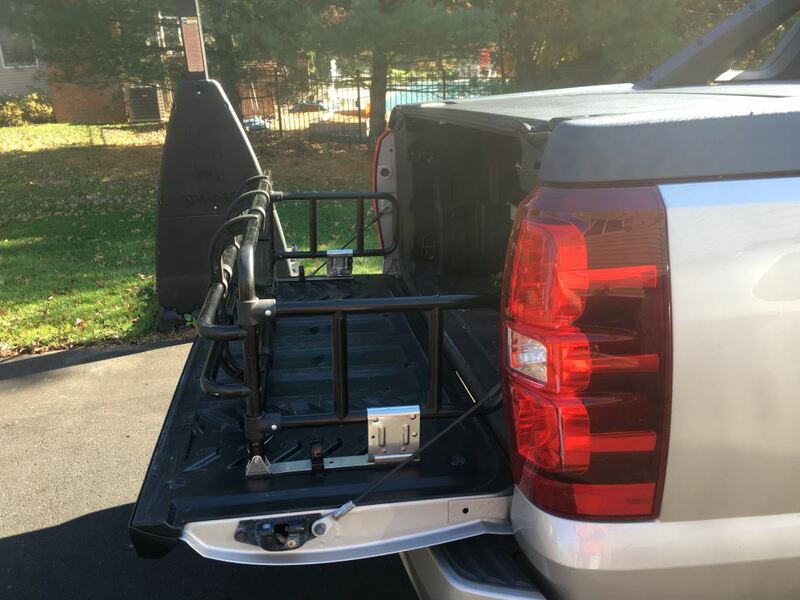 When folded, the extender will allow full use of your truck bed. 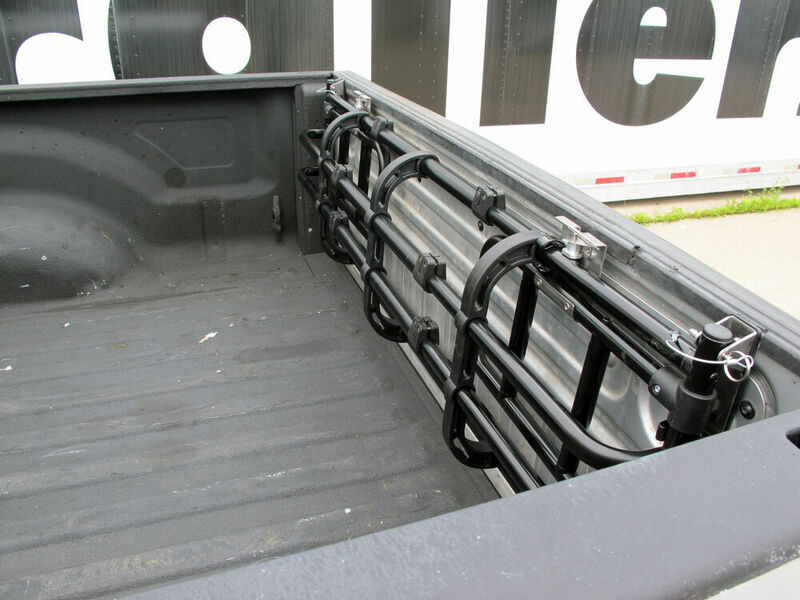 To see the entire list of extenders available for your truck, use the link below. 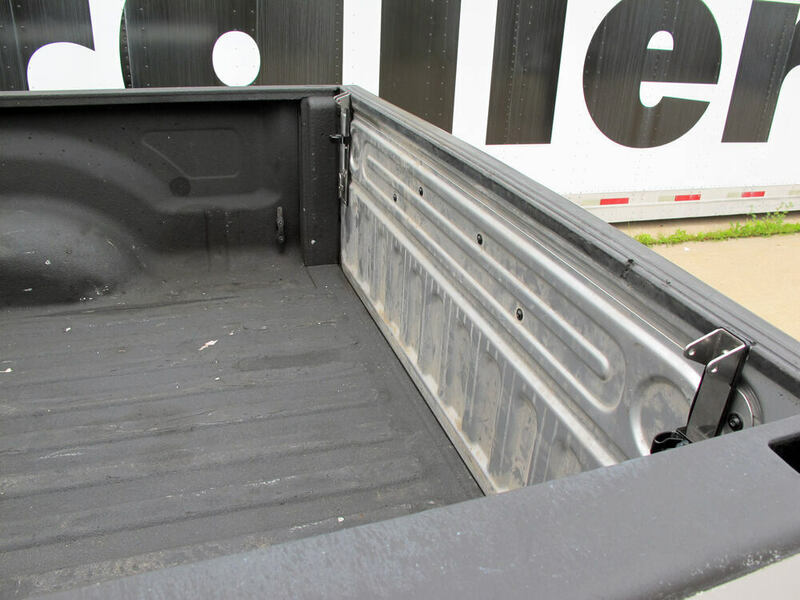 You may have to open your tonneau cover to open and close the tailgate with the Topline Bed Extender, # BX4004-02, installed. 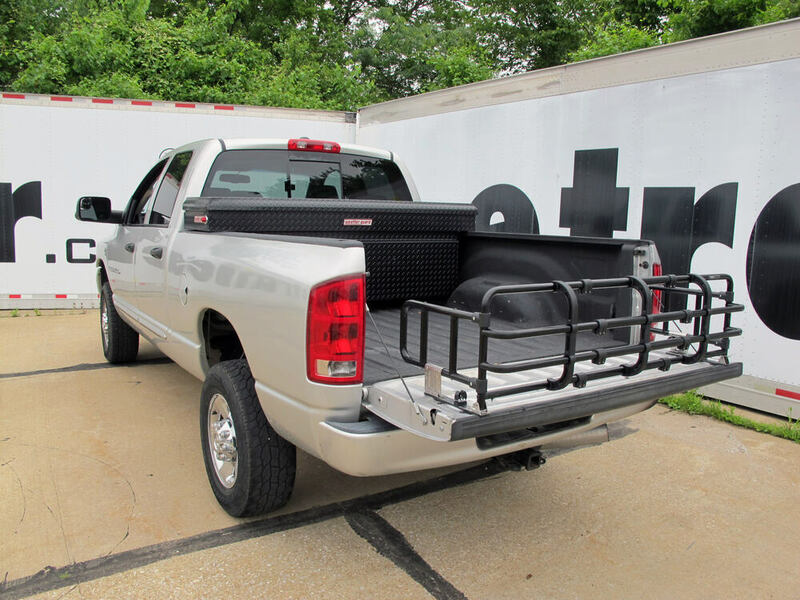 This bed extender can fold down, but it will extend approximately 5 inches in from the tailgate and interfere with the tonneau cover. This bed extender is also available in silver as part # BX4004-01. Highest quality bed extender for the best price. Most detailed, accurate bed extender information available.